Earlier this month, the U.S. House of Representatives voted along party lines to pass Hensarling’s Financial CHOICE Act. Republicans put the C.H.O.I.C.E Act (Creating Hope and Opportunity for Investors, Consumers and Entrepreneurs) into motion long ago. What is this Legislation, and Who is Hensarling? House Financial Services Chairman Jeb Hensarling sponsored the legislation. His hope is that only small banks with at least 10% of their assets as capital will benefit. All but one Republican, and no Democrats, voted for the bill. Its basic premise is to roll back regulations set by President Obama in response to the financial crisis in 2008. The new legislation will be dangerous for consumers because it limits the information available, especially regarding credit card companies. It also guts much of the funding for the Consumer Financial Protection Bureau, which was created by the Dodd-Frank law after the 2008 crash. So Why is It ‘Bad, Very Bad’? 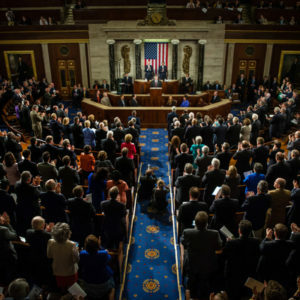 In addition to limiting information available to consumers (we’re all about educated and informed consumers making choices), the CHOICE Act will eliminate restrictions regarding how risky banks can be with consumers’ money when making investments, and limit their requirements to put consumers’ interests first. We already know that President Trump is looking to restructure the Consumer Financial Protection Bureau. And now with the House’s passing of Hensarling’s Financial CHOICE Act, the CFPB could cease to exist. And that part about putting consumers’ interests first? The CHOICE Act eliminates the Volcker rule which prohibits banks from making investments that only they will profit from. While the legislation did pass in the House, it will likely undergo many changes in the Senate. Senator Elizabeth Warren, a champion of consumer protection who was instrumental in creating the CFPB, will fight to protect it. The CHOICE Act is another example of how companies and government may not always have consumer protections in the forefront. 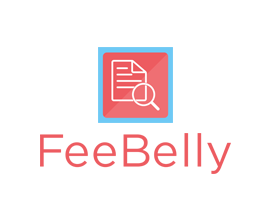 However, regardless of the outcome of this legislation, it is a reminder of why we need solutions like FeeBelly. As we await on the decision of the Senate, it is important to encourage companies, especially financial services companies, to be transparent with their fees and to consumers to utilize powerful protection tools.